Using Social Media in FSBO Marketing can greatly benefit the Seller. If you are a buyer looking for a property in the QCA, you can also get a daily update on new listings by following us on our Facebook, Twitter & other social media pages. Social media has become a ubiquitous part of everyday life for the majority of people. From the moment you wake up and groggily reach for your phone on your nightstand to your last scroll through the network of your choice before bed, we are constantly inundated with social media platforms and marketing. Relegating social media to teens and tweens on their cell phones is no longer applicable in the modern world; the truth is many businesses, professionals, and leaders use this type of media to their advantage. And why shouldn’t they? 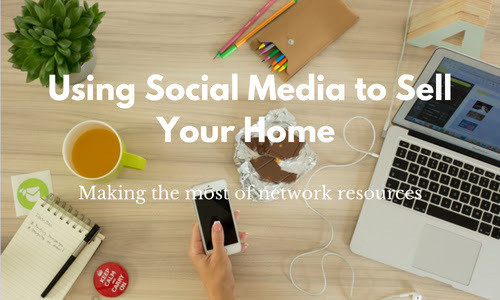 While catching up on the latest news on Facebook and seeing your friends share their swoon-worthy meals on Instagram can be fun, social media can be a very promising tool for people looking to sell their homes for sale by owner. For a number of people, aesthetics and visual stimulation are a powerful draw to social media. Beautiful cakes and mountain ridges alike draw the attention of the average social media user, causing them to pause at the post before moving on. Keep people’s attentions by using colorful and vibrant photos; make sure that if you share your QCFSBO listing via social media that the “preview” is turned on so the post shows images of your home. Networks like Facebook are perfect for creating and marketing your events. While this feature can be useful for making RSVPs for a wedding or a summer barbecue, creating an event for your open house can increase your attendance significantly! Utilize both the QCFSBO open house feature and those of other social media channels to improve the success of your event. At the end of the day, the wider exposure can only be good for you as a for-sale-by-owner seller. The best thing you can do for yourself and your property is to simply stay determined and continue to get the word out. Keep sharing your QCFSBO listing to make sure you’re exposing it to a wider and wider audience each week.